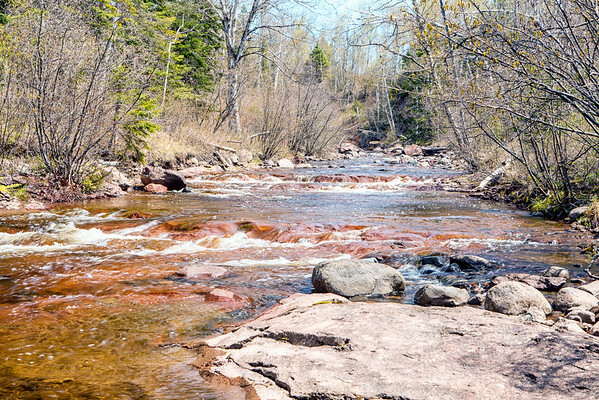 Unlike the other rivers along the North Shore, the river bed is very red. I'm not sure why it is so much redder than elsewhere but it is interesting. I made this photo in late May. Even that late in the year and the trees still weren't leafed out.